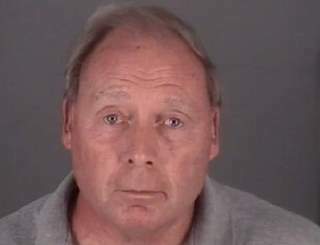 PORT RICHEY - Another mayor is behind bars. This time it's acting mayor Terrence Rowe, 64, who was arrested Wednesday by Florida Department of Law Enforcement agents on charges of obstruction of justice, conspiracy to commit obstruction of justice and use of a two-way communication device to facilitate the commission of a crime. Rowe was the second mayor in this town to be arrested in 20 days. He was vice mayor until the Feb. 21 arrest of Mayor Dale Massad, 68, who is accused of firing at a Pasco sheriff's SWAT team that was arresting him on allegations that he was practicing medicine without a license in his home. Pasco Sheriff Chris Nocco said afterward that Massad was "lucky he's not dead." The sheriff called Massad a violent drug user who kept weapons in his home. Massad also had several prior run-ins with law enforcement and lost his medical license in 1992 over the death of a 3-year-old patient. After his arrest, the state's chief financial officer announced that he was also under investigation possible insurance fraud. Gov. Ron DeSantis also suspended him from office, which is why Rowe was acting mayor. Port Richey acting mayor Terrence Rowe, 64, was arrested March 13, 2019, by Florida Department of Law Enforcement agents. "It's related but it's an off-shoot," said Special Agent in Charge Mark Brutnell, of FDLE's Tampa office, about the connection. "From information we received, (Rowe) was conspiring to inject himself into an active criminal investigation." Earlier this month, at his first City Council meeting as acting mayor, Rowe praised Massad's past service and criticized the Pasco County Sheriff's Office for the way it raided Massad's home. Massad was "not a perfect model," Rowe said, but had worked hard for residents. He said Massad had also helped his own political career. "It's unfortunate, it's tragic, and I will miss his counsel," Rowe said. There he'll join Massad, who faces five counts of attempted murder, four counts of practicing medicine without a license and two counts of unlawful use of a two-way communication device. Massad is being held without bail. Florida Attorney General Ashley Moody's office will prosecute Rowe. Brutnell said both the Rowe and Massad cases are "very active investigations" with "lots of moving pieces."